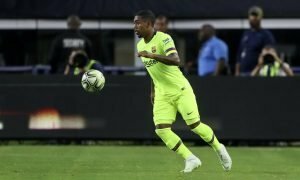 Deal close: Exceptional signing agrees Arsenal terms, will sign this week | The Transfer Tavern | Where football transfer rumours fly or die! Arsenal fans in the Transfer Tavern have assembled in their masses today to down plenty of pints in misery after missing the chance to move top of the Premier League table last night, suffering a humiliating 4-0 defeat to Southampton. However, there is some positives to be found for the Gooners in the bar as Metro report that an important signing will arrive at the club on Wednesday. Egyptian international Mohamed Elneny is said to have agreed terms with Arsenal and Arsene Wenger’s side have agreed a deal worth £7m for the talented defensive midfielder. 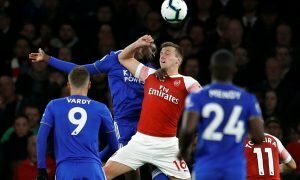 Arsenal are in desperate need of midfield recruits when the window reopens, having lost Santi Cazorla and Francis Coquelin to injury, and it seems Wenger wants to get his business completed early- with Elneny arriving as soon as the window opens. Crucially, Elneny will be able to feature in Arsenal’s Champions League campaign and brings previous success with him to North London, having won the Swiss league title in all of his three seasons with FC Basel. Arsenal fans, is Elneny the signing you need? Let us know in the comments below!